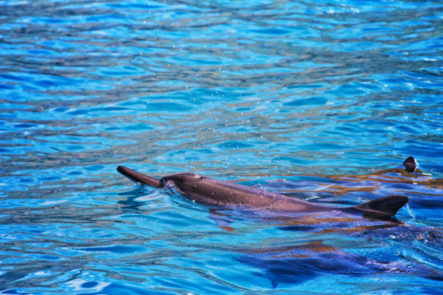 There’s nothing like experiencing the beaches of Oahu and having unforgettable wildlife encounters. 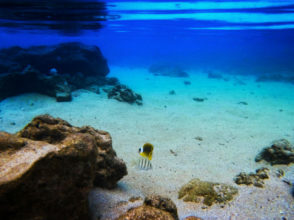 We’ve been around and I’ll tell ya’, snorkeling and lounging on all sides of Oahu is awesome. 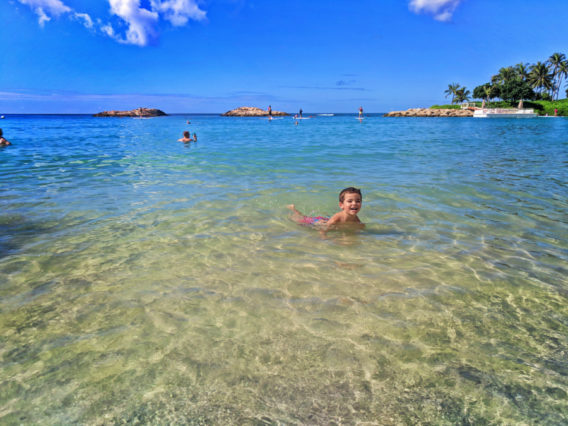 We’ve done the foot work and visited several locations to find our favorite, most family friendly beaches on Oahu which are sure to wow you. 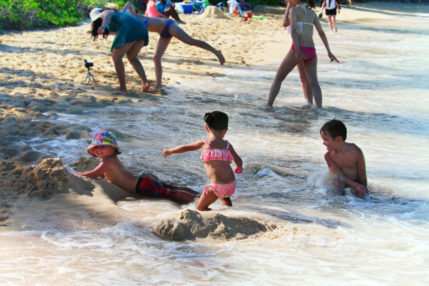 Family friendly beaches on Oahu? 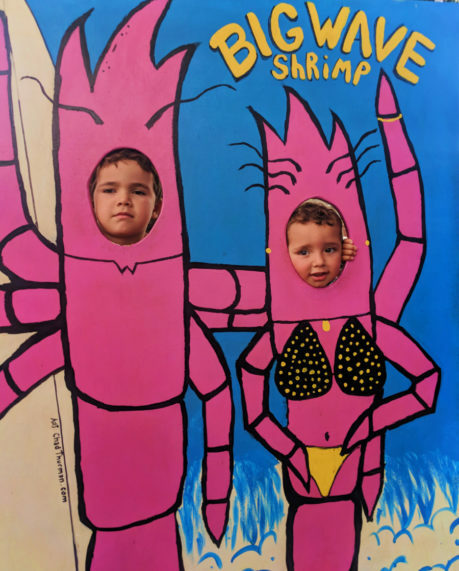 What beach isn’t family friendly? Well, remember that all kinds of people visit Hawaii for all kinds of reasons. 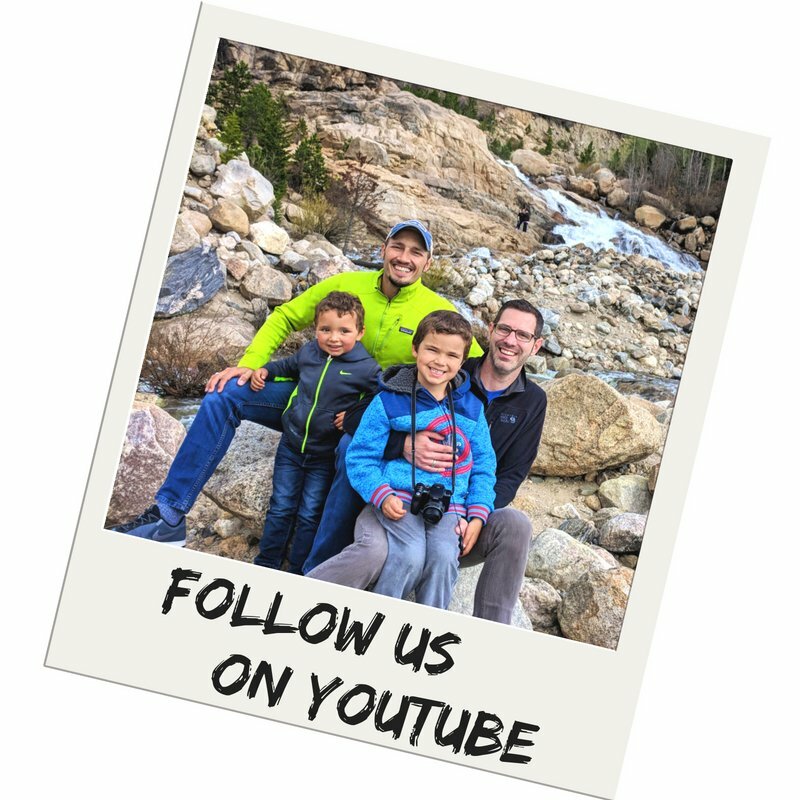 Our family friendly beach recommendations are places you can go with kids with safe waves, fun wildlife, and that AREN’T hosting epic surf competitions. 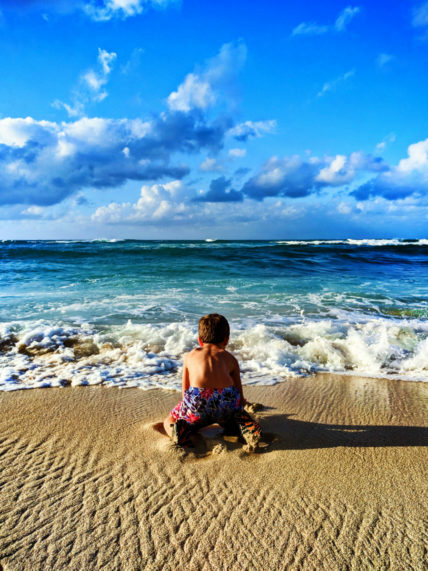 True, if you’re there for the Vans Cup, Pipe Pro competitions or another surfing bonanza, spend some time enjoying the spectacle, but also go seek our these great family friendly beaches on Oahu for a different side of Hawaii. We will bend over backwards to make sure we get a beach day no matter where we are. 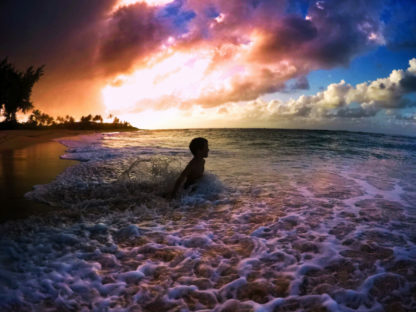 Thankfully Oahu is an island and it’s surrounded by perfect sand and warm water. We did Oahu without ever hitting Waikiki or Honolulu. I know: crazy. 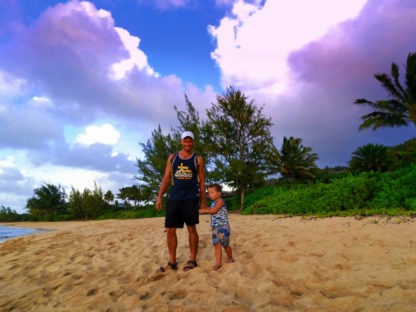 But it was perfect for our family and we were able to enjoy the beach without the typical Waikiki experience. 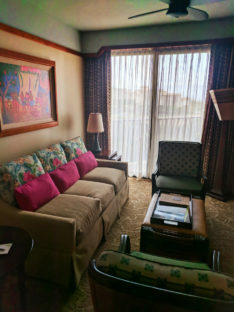 For the first part of our stay on Oahu we were at Diseny’s Aulani. A beautiful resort with all kinds of fun, including its own water park, it is set just off the beach. 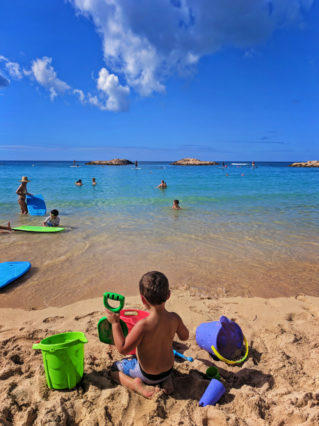 The Ko Olina area has several coves with beaches perfect for young kids, including a public beach park. The crater-shaped coves of the area provide calm, warm waters and super chill beach days; some of the most family friendly beaches on Oahu. Note: like Washington State, nearly all beaches in Hawaii are public access, save a few that are federally protected (for military and such). 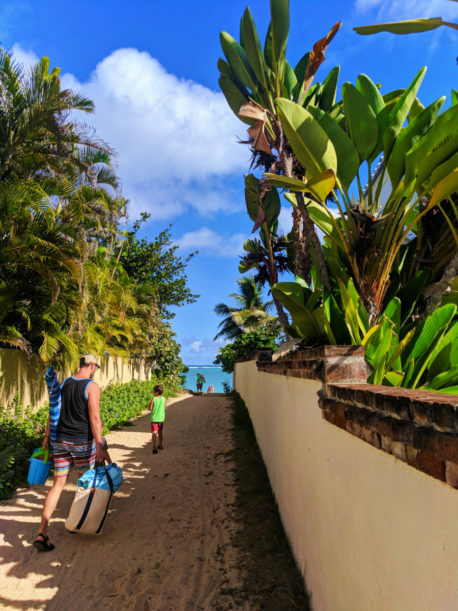 This doesn’t mean the land leading up to the beach is public, but if you’re walking the beach, chances are very good that you have the right to nearly all the way around each island (where accessible). 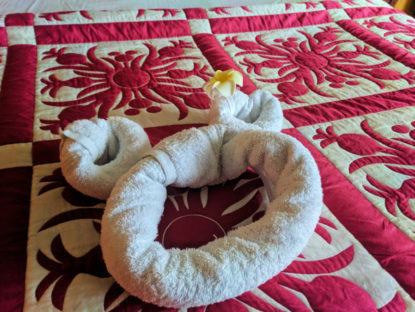 There is, of course, Disney Aulani in Ko Olina, but there are also several other properties and private rentals. When looking for accommodations on the West Side, be sure to confirm what sort of beach access your booking includes. Public beach access is plentiful if you know where to look, but being able to walk right out of your home-away-from-home is priceless. Say “the North Shore” and you immediately think of surfing competitions, huge waves, and stories of locals giving visitors the cold shoulder (or worse). 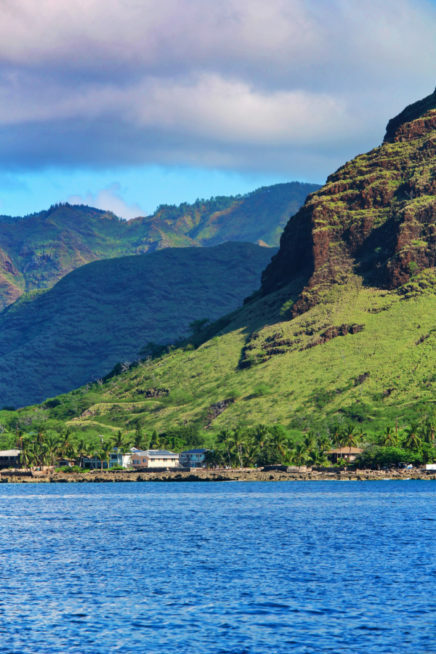 True, the North Shore is real Hawaii and it’s a very special place to those who get to call it home, but it’s not just what you initially think of. 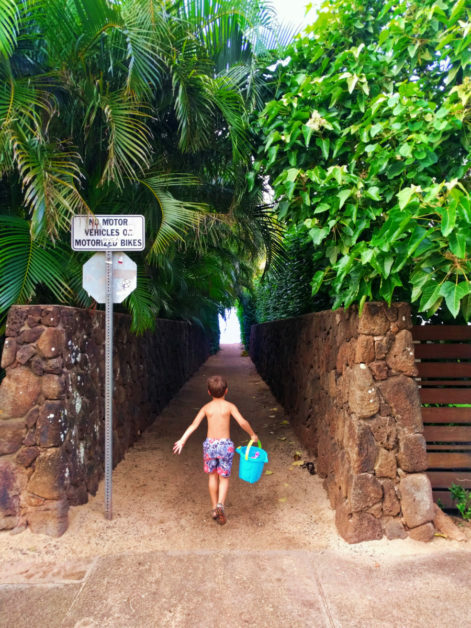 The North Shore is home to a variety of beach types and countless access spots, but we found two spots that were perfect for playing and exploring with kids. 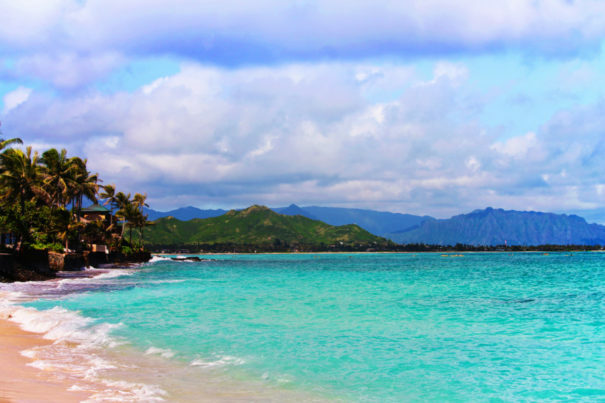 Truly, some of the best beaches on Oahu are on the North Shore. Aptly named Sunset Beach is just what you expect to find on Oahu, and particularly on the North Shore. The beach slopes down to the waves pretty steeply but then peters out underwater. 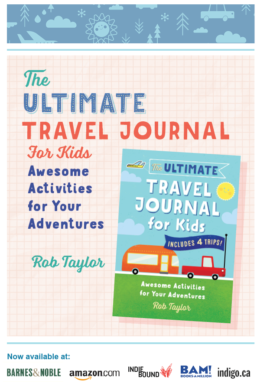 You can actually walk into the surf pretty far, and with a watchful eye on a calm day, it’s an ideal family beach. Heads up if you’re visiting in the winter though, this is where you’ll catch the many surfing competitions. It’s both awesome and not the Hawaii you may be hoping for. Note: be wary of both rocks and a reef not too far into the waves. 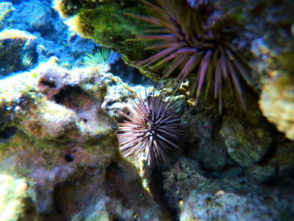 There is a lot of coral around Sunset Beach and you don’t want to leave with an injury. 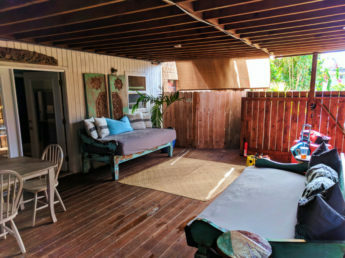 We opted for a really wonderful AirBNB one block from Sunset Beach. We loved being in a neighborhood and hearing kids, as well as the flexibility of dining out or cooking at our place. 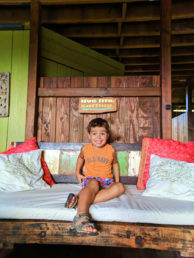 Our particular accommodations provided us with all the beach equipment we needed: beach towels, chairs, umbrella, snorkel gear, sand toys… It was perfect for our family. 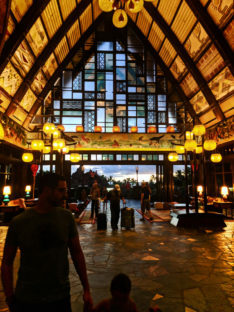 There are other options on the North Shore too, including the Turtle Bay Resort and a variety of hotels within Haleiwa. 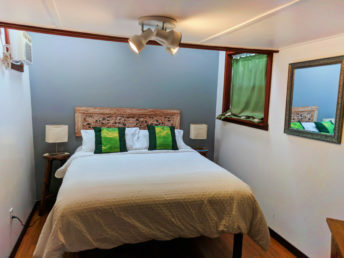 Really, book what fits your travel style and know that you’re on Oahu and you’ll probably spend minimal time there because there’s so much else to do. 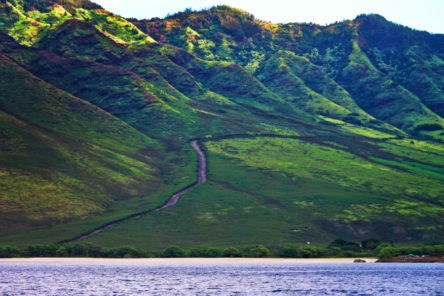 If your accommodations on Oahu are up on the North Shore, be sure to take the scenic route to get to Lanikai. You’ll wind past crashing waves and steep green mountains. 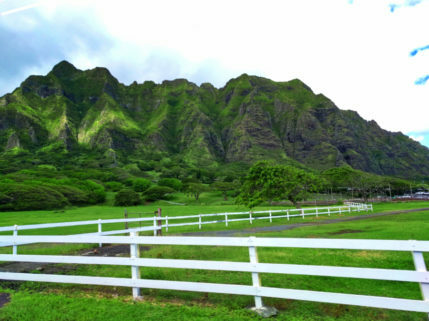 They’re the views Jurassic Park is made of (and you can stop at the Kualoa Ranch where it was filmed). This will also give you the chance to stop off at a local shop or Foodland to get beach snacks and delicious Oahu food… cuz you’ll never want to leave the beaches of Lanikai. Parking at Oahu’s Lanikai Beach is easiest in the morning. The beach is accessed through Kailua Beach Park or via one of the neighborhood thru-ways. Once there you’ll be in love with the soft sand and the perfect view. Lanikai Beach is so beautiful because it’s on an open bay with green sloping mountains at its mouth. Gorgeous. 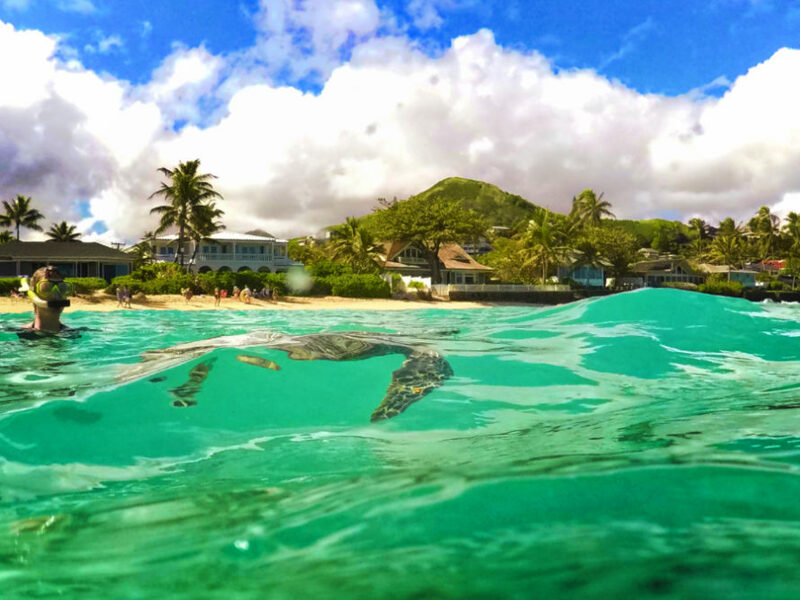 Highlight: while apparently it’s not an everyday occurrence, we saw four or five young sea turtles at Lanikai. 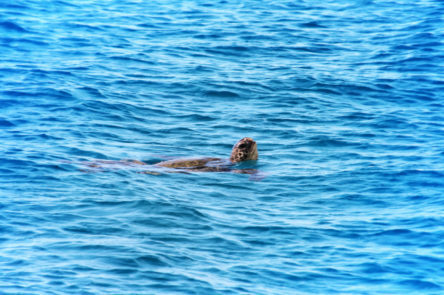 Immediately upon arriving at the beach we saw young hones (Hawaiian green sea turtles) surfacing and diving. We got in the water to swim and they would show up next to us. Amazing nature experience! 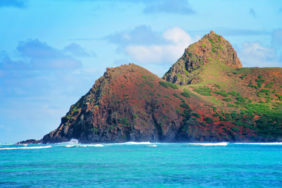 The towns of Kanahoe Bay, Lanikai, and Waimanolo all have hotels for a variety of budgets. 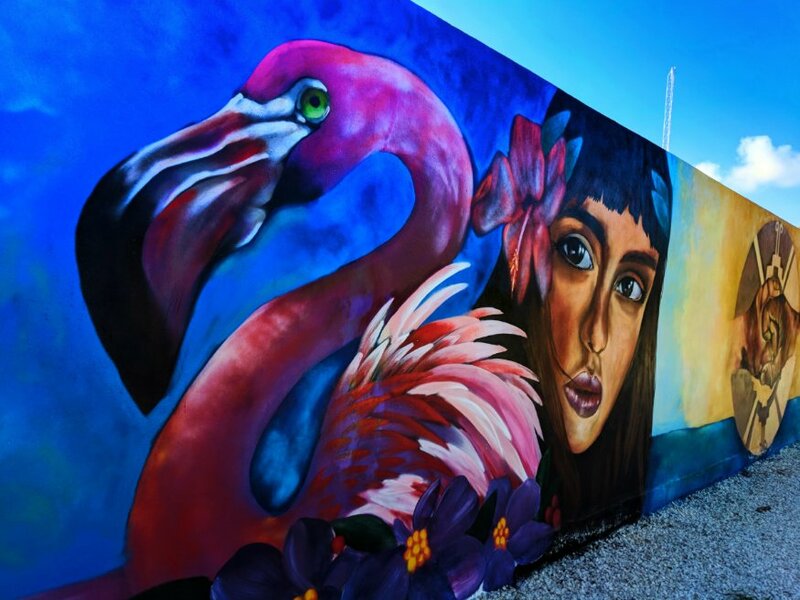 You actually can book some pretty mainstream brands in one of these East Side towns to make your Oahu vacation more budget friendly. 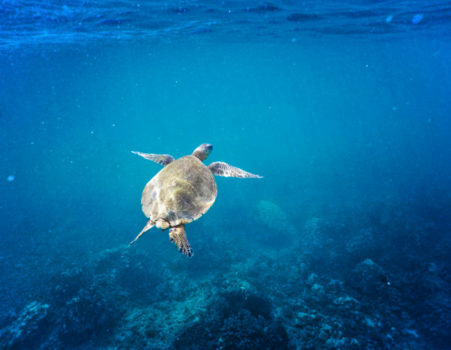 If I didn’t know better I’d guess that the word “Oahu” meant “Plentiful waters full of colorful fish and turtles.” Like with our recommendations for beachs, snorkeling can be enjoyed all around Oahu. 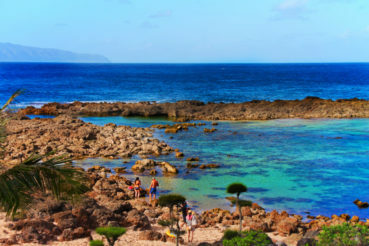 The west side, from Waianae up to Keawaula is ideal for snorkeling on a calm day. There aren’t a lot of protected bays (with breakers) on this side of the island but if you find a nice beach access point with safe parking off the highway, you’ll be pleasantly surprised with the wide variety of fish you’ll find. 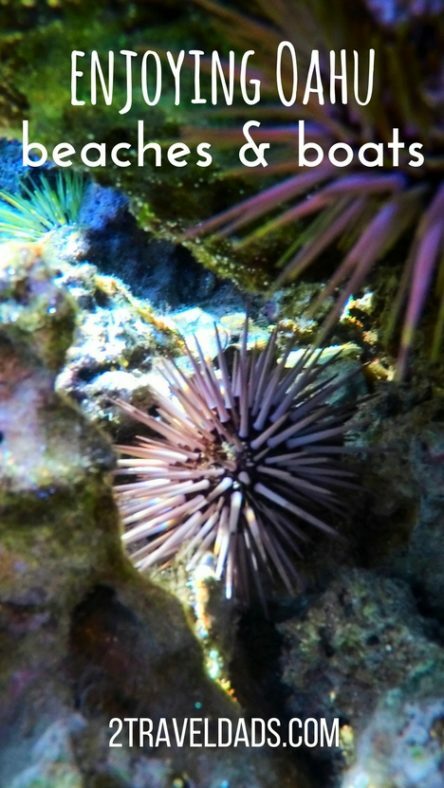 Remember, the Hawaiian Island are the tops of volcanoes so there are lots of rocky area for coral reefs to form and life to flourish. 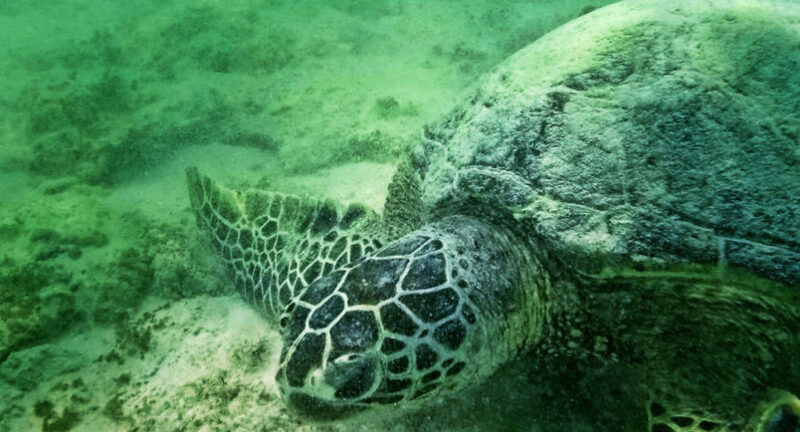 Another highlight of the area was the honu, Hawaiian green sea turtle, population. They were visible even before we were watching them underwater. 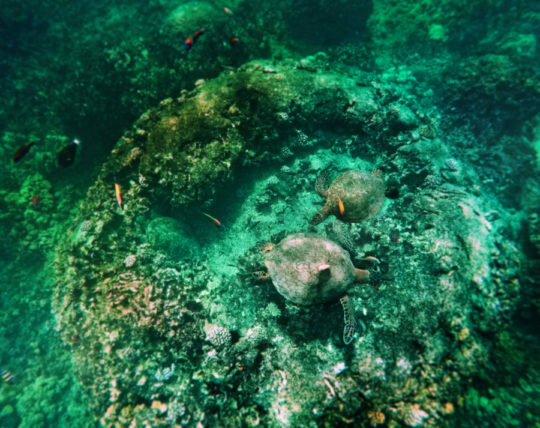 Hawaiian green sea turtles like to dine on algae, undersea grasses and sea weed, so fining a cove with just the right mix of rocks and plant life made for some incredible underwater moments. 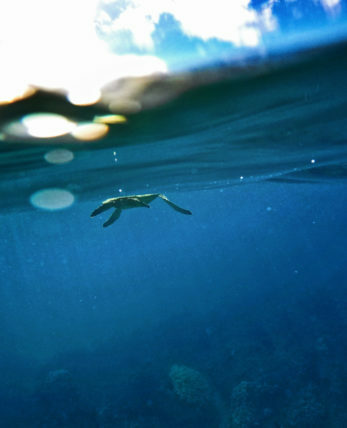 Note: there is an appropriate/safe way to observe sea turtles underwater. 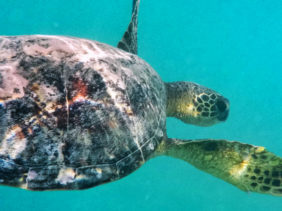 The following are NOAA’s guidelines for swimming around or observing sea turtles. 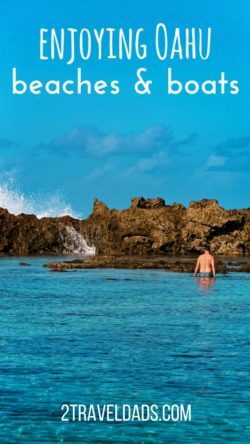 Sharks Cove isn’t much of a beach, but its lagoon is worth a visit. 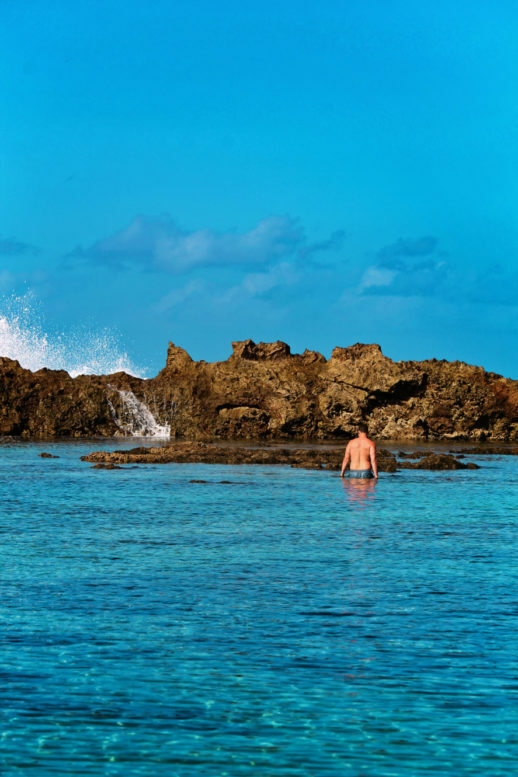 A long line of breaker rocks forms a boundary between the open ocean and crazy waves of the North Shore, and on the land side of the breaker is an idyllic lagoon. 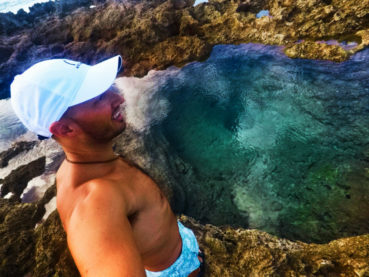 It’s got all kinds of fish and sea life to discover, some nice swimming holes, and it was great to visit with kids. 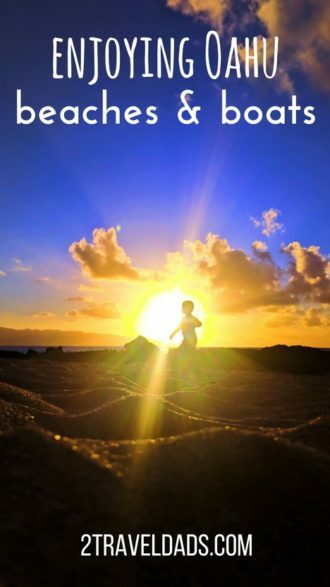 Due to limited parking and wanting to keep the area mellow, plan a short visit in the morning and then head up the road a bit to get your actual beach time, either at Sunset Beach or Waimea Bay Beach Park. Tip: across the street from Sharks Cove is an awesome food truck depot. It’s got its own parking and is an ideal lunch spot. The very same beach we enjoyed with kids, Lanikai, also proved to be pretty good for snorkeling. Primarily we were observing the young honu population (Hawaiian green sea turtles) but we also were watching for humuhumunukunukuapua’a and pufferfish. There were all sorts of small fish, but these were the big ticket species. 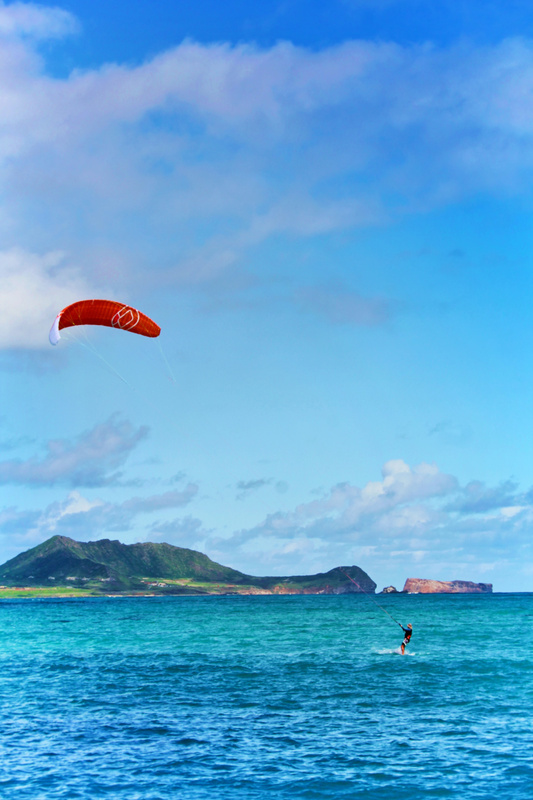 Tip: if you head further south from Lanikai you’ll come to Kaupō Beach Park in Waimanalo. 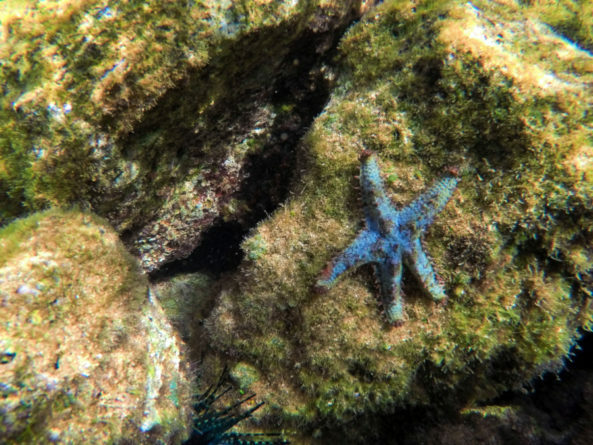 The coves and reefs in this area are much rockier than Lanikai and may have a wider variety of fish. 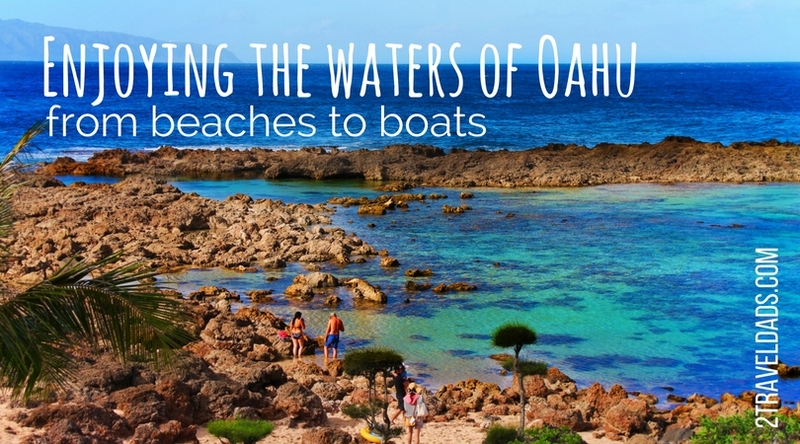 Getting out onto the water is a must if you’re in a tropical location, particularly Hawaii. 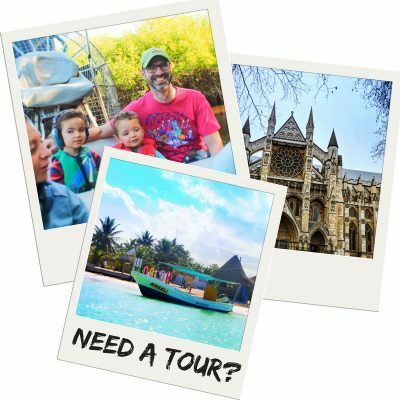 While you won’t find as many tour operators or boats for hire off Oahu as you do in a place like Cabo San Lucas, but there are still plenty of choices. We did a catamaran sailing adventure with Hawaii Nautical. The highlights of getting out on the water vs just hitting the beach were watching the Hawaiian green sea turtles surfacing all around us and the Hawaiian spinner dolphins jumping and chasing everywhere we looked. The wildlife was really incredible and easy for the kids to enjoy without getting into the open water. Another highlight of going on a catamaran was the crew providing unique experiences. 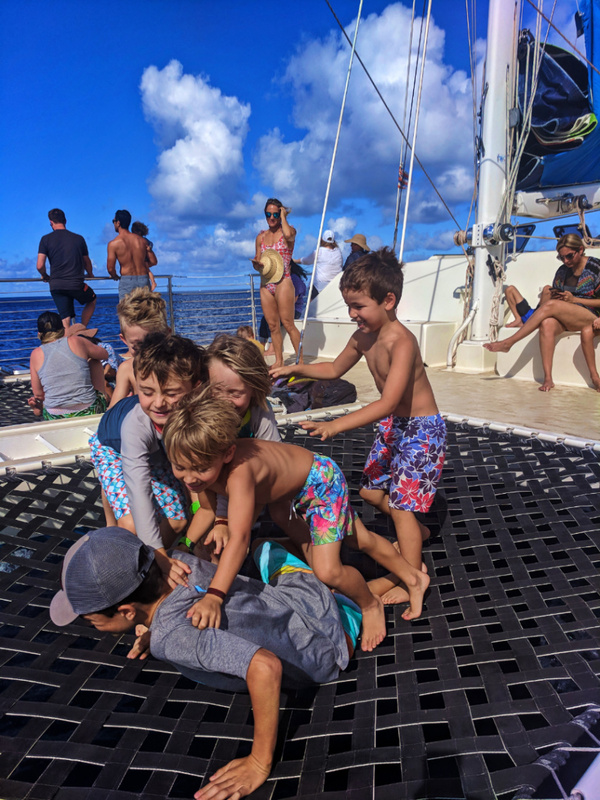 We loved it when one of the guys on board dove into the water to bring up urchins, sea stars and even an octopus to show the kids. Also, a great Hawaiian lunch of kalua pork finished off our time on the water, so score there! 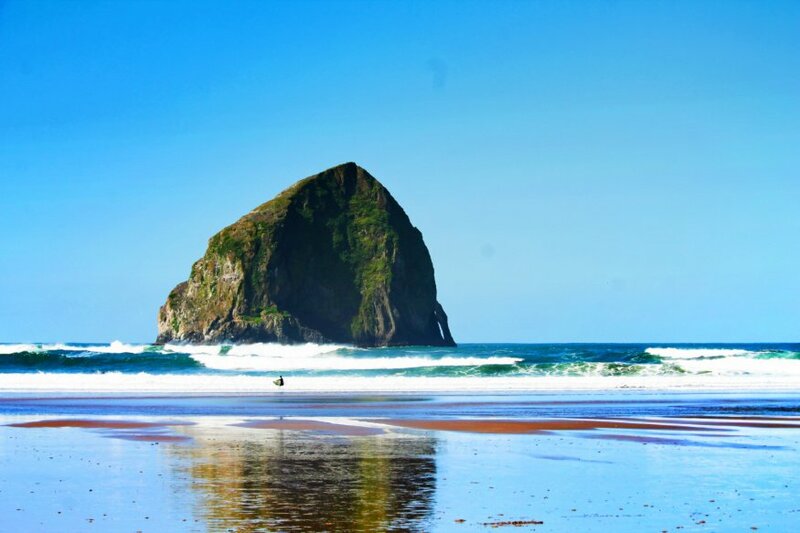 It’s amazing how writing about the beaches on Oahu and all of the fun water activities makes it almost okay that we’re in the Pacific Northwest most of the rest of the year. 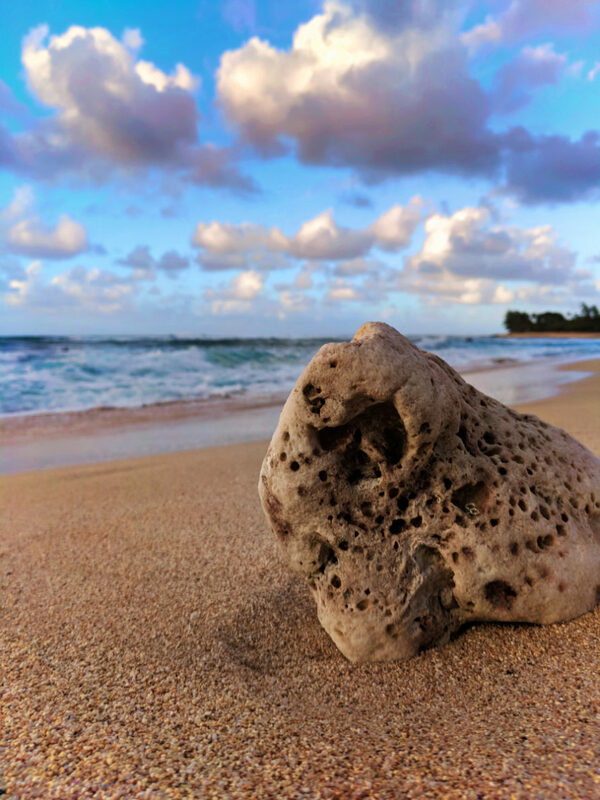 Really, you can’t go wrong with spending time as a family, a couple, or solo walking the beaches and exploring the nature around the Island of Oahu. 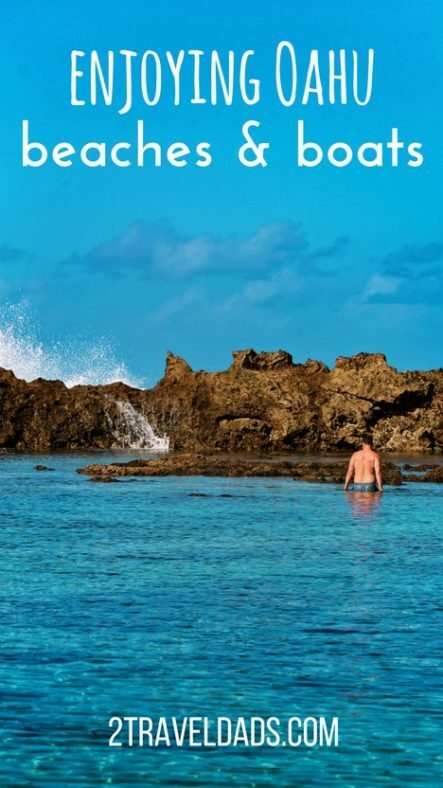 Want to pin this for planning your own adventure lounging on and exploring the beaches on Oahu? Go for it!